You may have noticed that, except for the hashtag that begins the titles, I rarely use the word "rare" in these posts. Almost all the species I write about are actually quite common in their normal range. While they may be rarities in the context of the ABA Area, they are usually far from rare on a global scale. 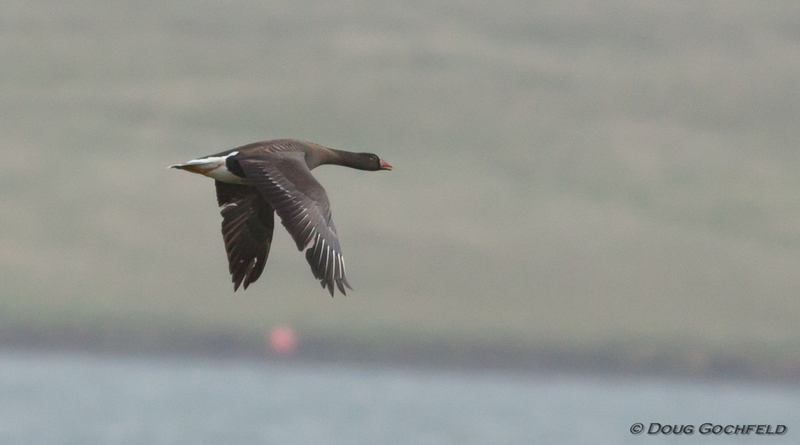 However, for this post, we have a bird that's rare no matter how you look at it, Lesser White-fronted Goose (Code 5), a species that's listed as "Vulnerable" on the IUCN Red List due to large population declines throughout it's Old World range. One of these small Eurasian geese was discovered at St. Paul, Alaska on the morning of June 21 by Laura Lestenkof. She called the guides on the island (Scott Schuette, Doug Gochfeld, and Cameron Cox) to let them know that she found a dark goose that she couldn't identify. They were shocked to see it was a Lesser White-fronted. Shortly after being identified, an arctic fox flushed it, and it flew away. It wasn't refound later on the 21st, but the weather was poor for birding, and it's suspected to still be on the island. 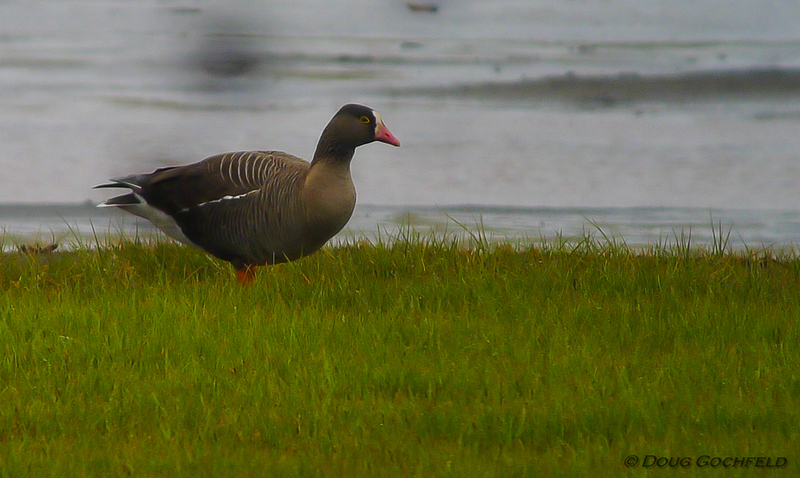 Lesser White-fronted Goose has been found in the ABA Area only one time previously. One was seen at Attu on June 5, 1994, but given that its global population is estimated to be 28,000-33,000 individuals and a decreasing population trend, a second record wasn't on the radar. To put its rarity another way, I'm considering raiding the kid's college fund to chase this bird. Speaking of chasing it, information on visiting St. Paul and taking part in guided birding tours is available here. The island is one of the best places in the ABA Area for finding Asian vagrants, and this fall, the ABA is hosting two rarity-hunting tours as part of its events program. A few spaces remain on both.